Graphs and data quiz for 4th grade practice. 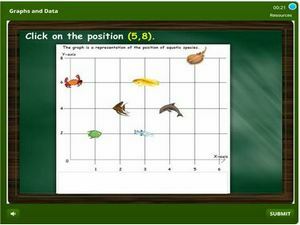 In this quiz 4th graders will learn the positioning of objects using a coordinate system, represent data on graphs and tables, covert tabular data into linear and bar graphs, interpret both types of graphs to obtain useful information. This excise also deals with interpreting information found on Venn diagrams. 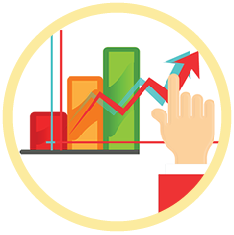 Students can learn on their own while their scores can be tracked and monitored by tutors remotely. There are multiple choice questions and in each case there are images to guide students. Start practicing now and track your scores.